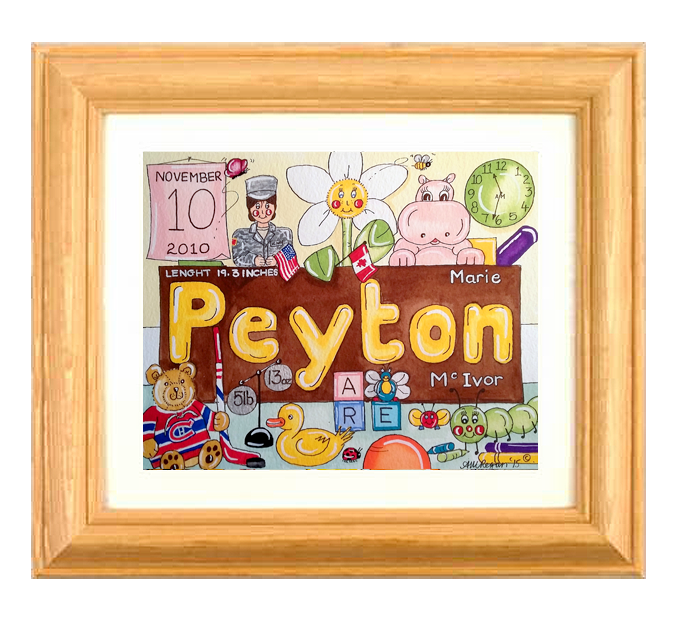 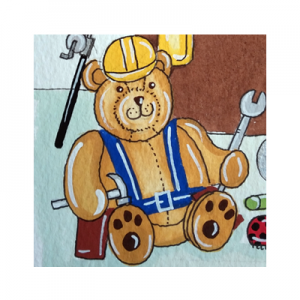 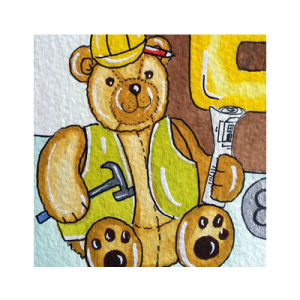 These personalised paintings created in watercolour and gouache are the perfect gift for a new baby or a young child. 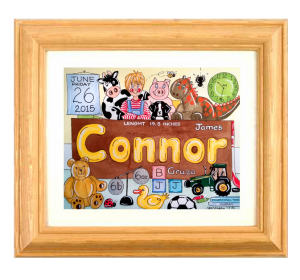 As well as the details of the child’s birth, I incorporate many family details like hobbies and favourite sports teams, as well as the parents occupations. 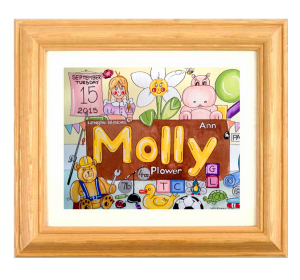 The painting also includes the initial’s of their parents and siblings if any. I will include symbols of the parents professions and hobbies as this is a record of what is going on at the time of the child’s birth. 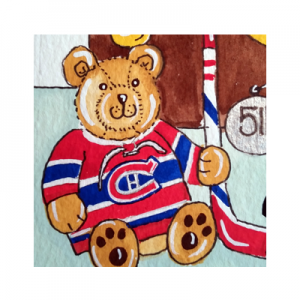 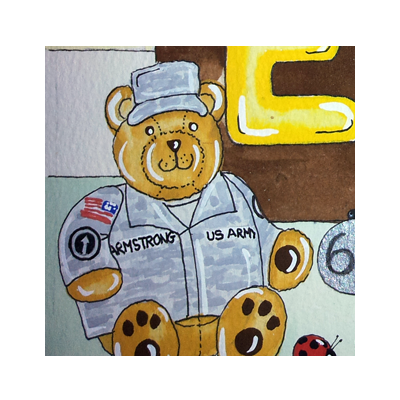 As you can see “Big Ted” is in the bottom left of every painting, and he often represents a profession or sports team for the child. 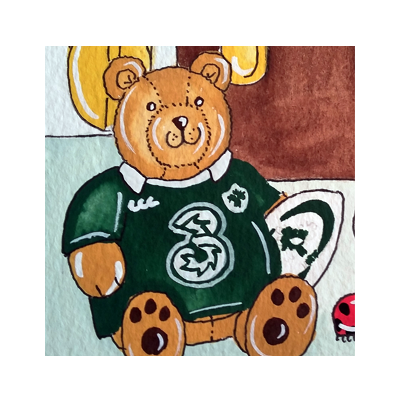 Examples of personalised items in the paintings are county or country flags, team jerseys of the various sports, company logos etc. 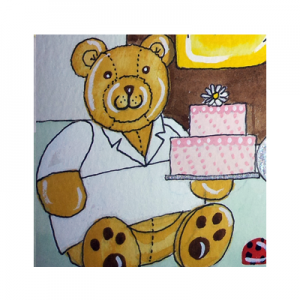 You give me all the details and I will endeavour to include as much as possible in the piece. 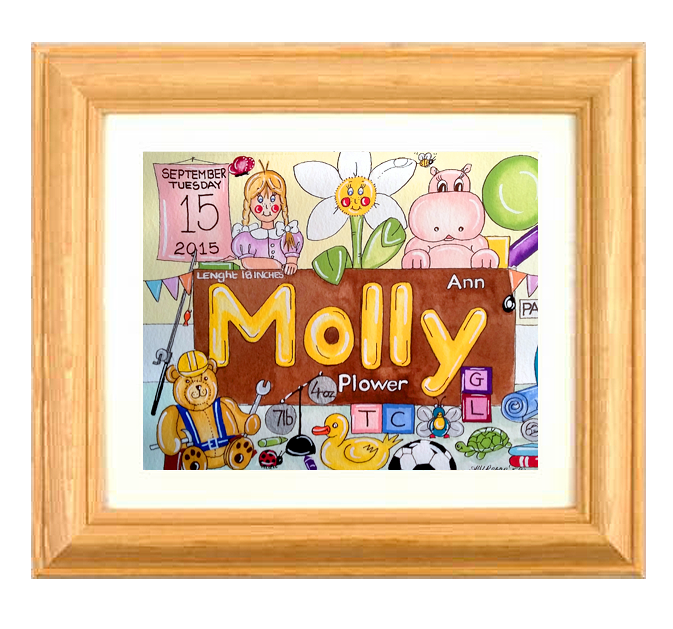 All these paintings have a similar template with different characters for girls and boys, and I can work everything in the painting around a particular theme if you would like. 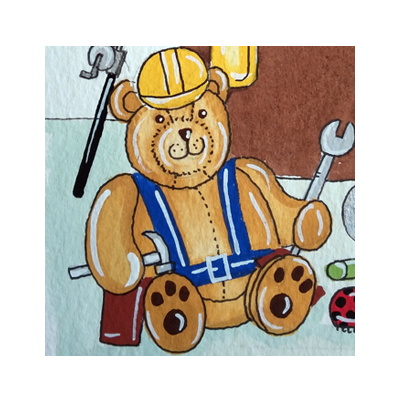 I’ve done nautical and farming themes, but the only limit is your imagination! 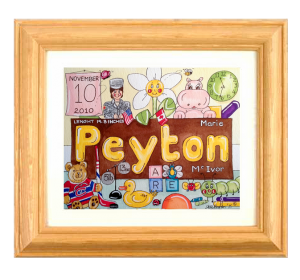 The size of the paintings is 9″ x 7″ then framed in a natural wooden frame size 2″ x 10″ x 12″ with a cream mount. 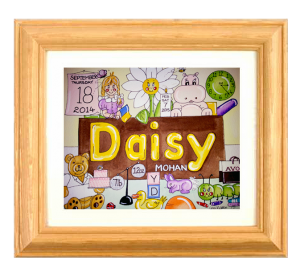 €70.00 for each custom hand-painted piece. 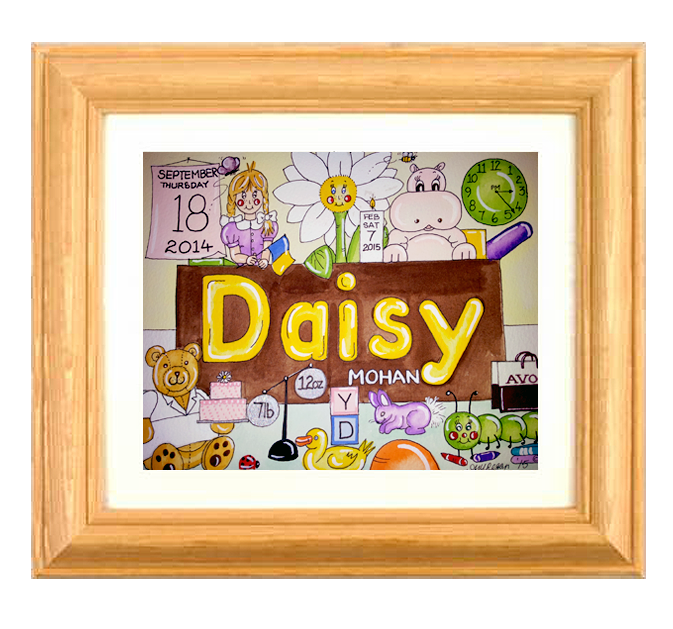 Framed in a natural wooden frame. 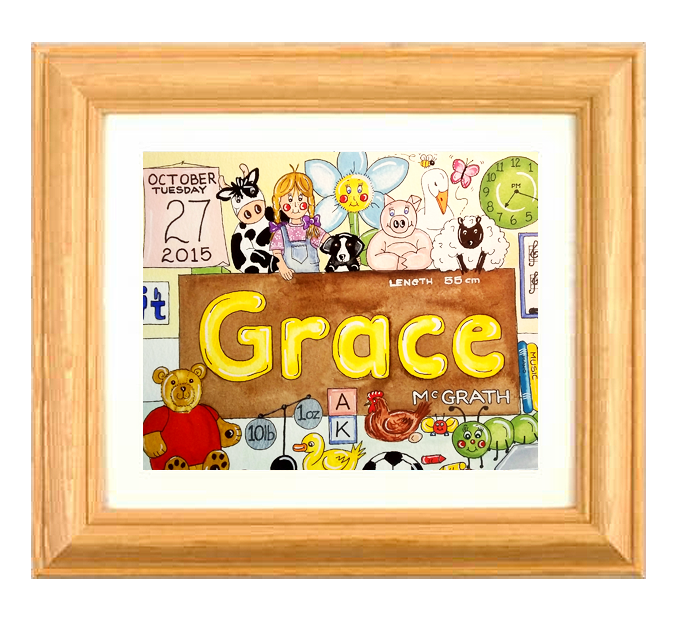 €60.00 for each piece unframed. 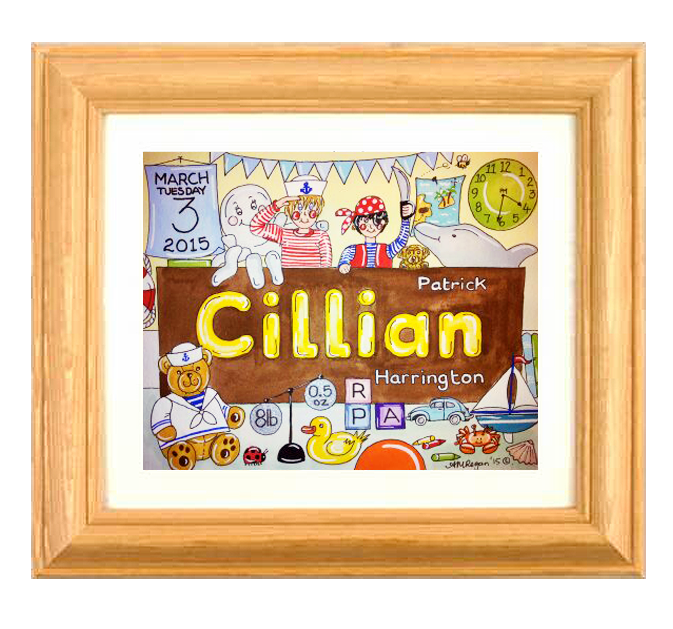 P&P €12.50 in Ireland framed. 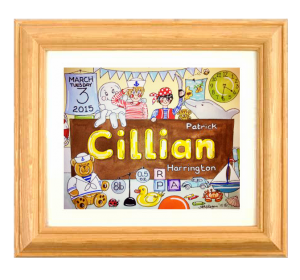 P&P €5.00 in Ireland unframed. 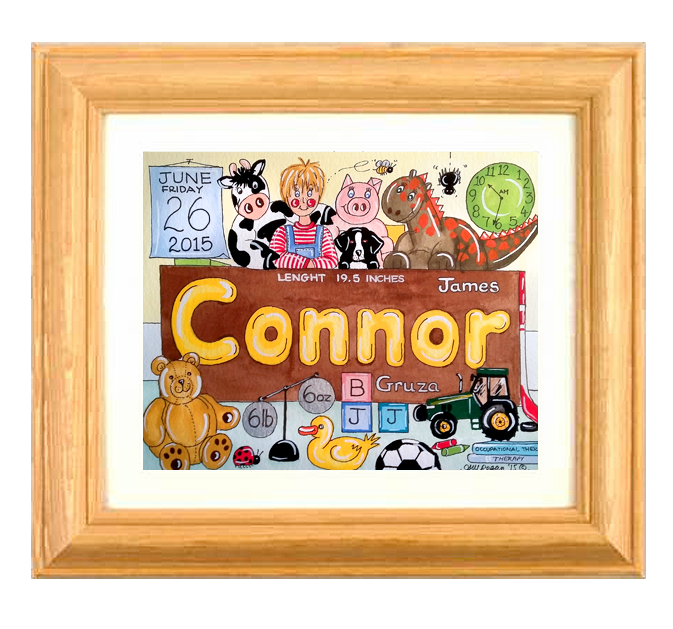 P&P €9.50 everywhere else in the world unframed. 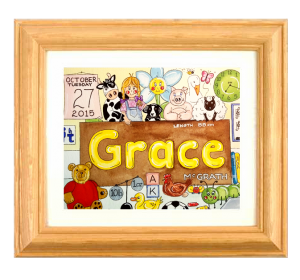 You can buy these through the online store and I will contact you to discuss the details for your personalised painting.